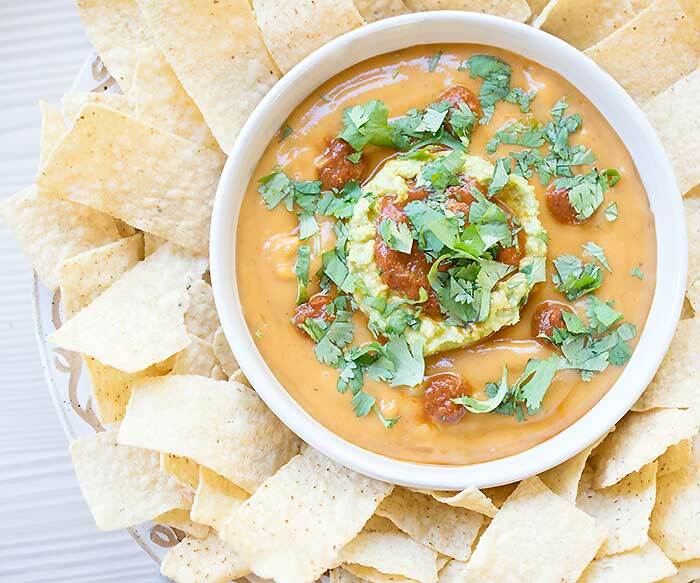 Home » Appetizer » Vegan Torchy’s Queso Copycat Made with Potato and Homemade Rojo Sauce! 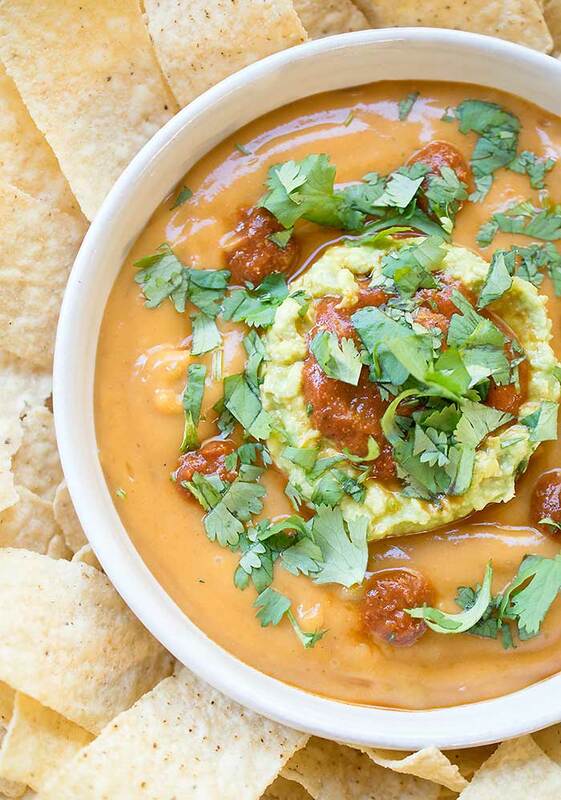 Vegan Torchy’s Queso Copycat Made with Potato and Homemade Rojo Sauce! A couple of years ago, I spent a week in Austin and got to eat some amazing tacos at Torchy’s, which is one of the many taco darlings there. I wasn’t able to try the queso because it was full of dairy, but some of my friends got some and it looked stunning. 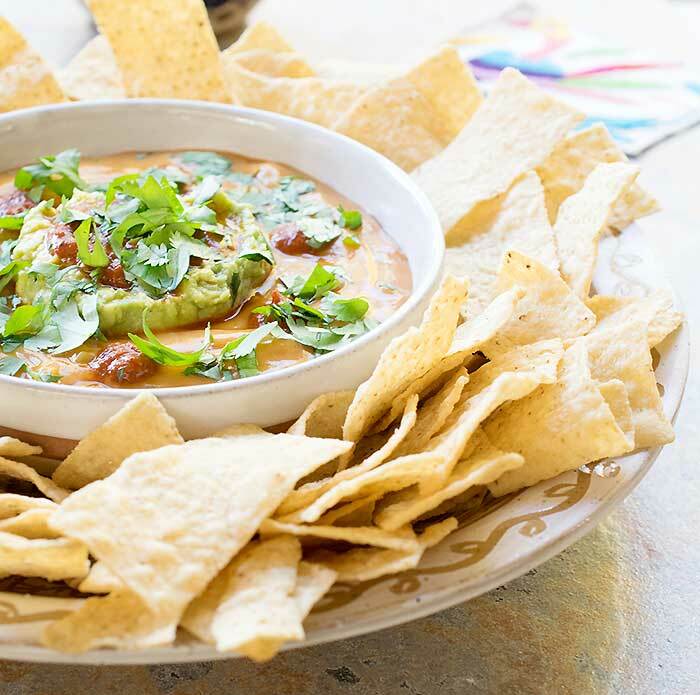 My Vegan Torchy’s Queso Copycat is made with Idaho Potatoes as the base of the cheese along with an easy-to-make homemade rojo sauce. This is another in my series of posts sponsored by the Idaho Potato Commission. I love potatoes and they are amazing disguised as queso! If you’re looking for a more traditional queso try my famous Instant Pot Cauliflower Queso. I make it for almost all of my demos! My best friend, Dawn, met me in Austin for a day and we went back. I told her I wanted to veganize the queso and she asked me how I’d figure it out. I decided to go up to the person that took the orders and ask point blank what was in it. Dawn stood there shocked while the guy gave me the low down. That was right before he said, I shouldn’t have told you that like Hagrid in just about every Harry Potter book. I may be a big old geek, but at least I’m a geek that people trust and tell their secrets too! You probably guessed from the title that the rojo sauce is probably the key to this queso and you’d be correct. What the heck is a rojo sauce? It’s made with dried chilies that you toast and reconstitute with water. Then blend with spices and garlic to create a crazy-delicious sauce that you can use on any of your favorite Tex-Mex recipes. 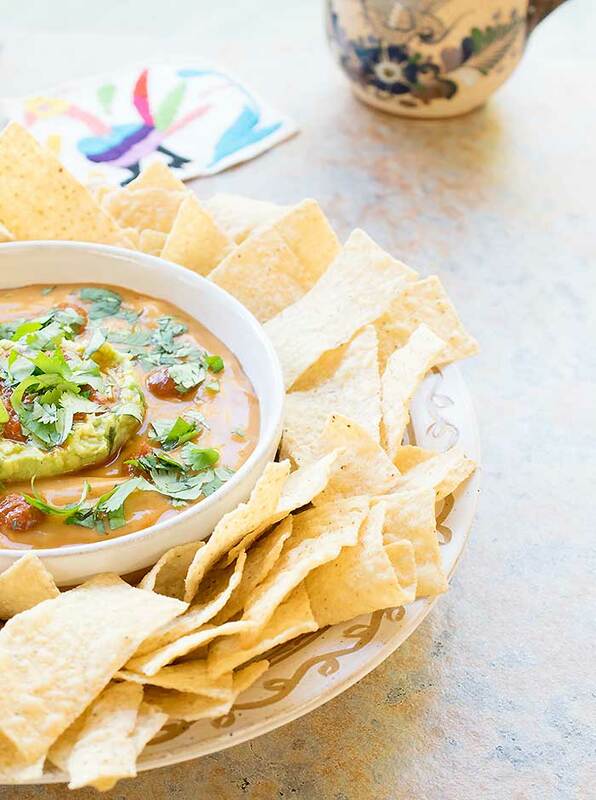 Vegan Torchy's Queso Copycat Made with Potato and Homemade Rojo Sauce! While I was in Austin I heard a lot about Torchy’s queso. I wasn’t able to try it, but I did manage to get a few pointers on their secret recipe, and now I’m going to share my recipe with you! The rojo sauce is the main secret. Now everyone who can’t eat dairy can enjoy this amazing queso! Add the cooked Idaho® Potatoes, water, rojo sauce, nutritional yeast, salt and oregano to your blender. Blend until smooth. You will need to stop and scrape down the sides of the blender several times to make sure everything is smooth. Scrape the mixture into a small mixing bowl and mix in the diced chilies. 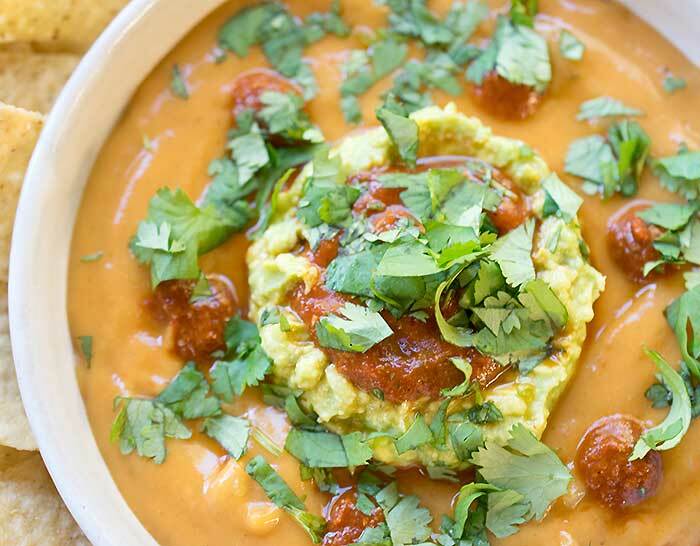 Spread the queso mixture in a wide servings bowl. Place a large scoop of guacamole in the center. Top with chopped cilantro and reserved rojo sauce. Toast the chilies in a dry saute pan over medium heat until they become fragrant, about 3 to 4 minutes on each side. Then carefully remove the stem and seeds. Put the peppers into a small saucepan and cover with water. Cook over medium until the peppers are reconstituted, about 10 minutes. Place the cooked peppers, water or cooking liquid, garlic, paprika, cumin, oregano, and salt into your blender and blend until smooth. You will need to stop and scrape down the sides of the blender several times to make sure everything is smooth. What about doing Torchy’s fried avocado tacos, too (veganized, of course)? 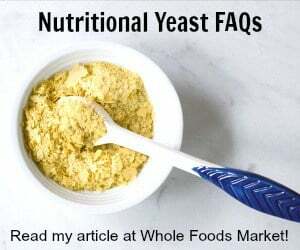 Is this a 1/4 cup of nutritional yeast? It is 1/4 cup and I’ve corrected it in the recipe. Mine came out really red. Any idea what I did differently? It’s possible that your chilies were larger than mine. Maybe next time only add the rojo sauce until it’s the color you want! I like the idea of sweet potatoes but who can go wrong with an all-American Idaho potato! It sounds delicious! Mine came out the color of brown gravy. It taste pretty good but not too crazy about the color. I used the Padilla chili peppers. What was the appropriate length & width of the peppers you used? The peppers vary greatly in size. One thing to do is just add it to the queso until the color is where you want it. You can even serve some rojo on the side for more flavor without effecting the queso color. I’ll try that next time. Since I had made the rojo sauce first I just left it in the blender & added the ingredients to make the queso. Mine also came out really red. Huge peppers, so I multiplied the recipe times 1.5. Not so sure of it as a dip, but I used it to stuff poblanos and baked them for an hour. Lovely.